There are a lot of sport fans in Australia. They like sports in person and on TV. Just as it is in the US, many sport events are sponsored by companies that sell alcoholic beverages. A study published in January indicates children who grow up watching booze ads on TV are more likely to imbibe themselves. They have a tendency start early and are prone to overindulgence. A separate study, though, actually counted the booze ads bombarding Australian TV and found advertising law loopholes that allow these commercials to air freely during TV sport events even during the time of day that kids are more likely to be watching. Television ad regulations restrict ads for alcoholic products between 6:00 AM and 8:29 PM (daytime viewing hours when children 17 and younger are more likely to be watching). The restriction does not apply, however, to sporting events televised during daytime hours but beverage companies are encouraged to voluntarily curb the ads during these hours. 235,233 children, on average, watched daytime TV (6:00 AM to 8:29 PM). 273,989 watched evening TV (8:30 PM till 11:59 PM). 87% of alcohol ads during daytime TV were during sport events. 86% of alcohol ads during the evening were on non-sporting events. Sport TV carried a mean of 1.74 alcohol ads per hour all day long. Non-sport TV carried mean 1.35 alcohol ads per hour. International football on TV comes with 1.24 references to alcohol per hour. United Kingdom football on TV comes with 1.88 references per hour. Kids everywhere enjoy watching sporting events on TV with their parents and adults often enjoy alcoholic beverages while viewing sports. The Monash researchers consider alcohol ads during sporting events as particularly important to the industry since beverage companies invest a considerable proportion of sponsorship and advertising budgets on televised sport events. The researchers fear the lack of restraint on alcohol ads during daytime sporting events nullifies potential protections for children that advertising restrictions were devised to offer. The study published in January sought to determine if kids were paying attention to alcohol ads on TV and, if so, to what extent. The study used telephone and online surveys to ask young people, 15 to 23 years of age, about their memory of certain ads on TV. Some ads in question featured booze, others fast food (as the control sample). 2,541 young people responded to the initial survey in 2011. 1,596 followed up with a second survey in 2013. 26% of survey respondents aged 21 to 23 recalled seeing specific booze ads. 23% of those 15 to 17 years old recalled seeing the same ads. 29% of those aged 15 to 20 who recalled particular booze ads also reported binge drinking. 18% of those 15 to 17 reported episodes of hazardous drinking. 19% of those 18 to 20 reported hazardous drinking. Recollection of fast-food ads was not associated with drinking outcomes. 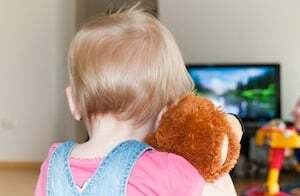 As with the Australian study, the Dartmouth researchers conclude that self-regulation is failing where TV alcohol ads and children are concerned. Underage children are bombarded by booze ads and it affects their decisions to begin drinking and to drink recklessly. O'Brien, Kerry S., et al. "Alcohol Advertising in Sport and Non-Sport TV in Australia, during Children’s Viewing Times." PLOS | One. Monash University, 11 Aug. 2015. PLOS. Web. 21 Aug. 2015. Tanski, Susanne E., et al. "Cued Recall of Alcohol Advertising on Television and Underage Drinking Behavior." JAMA Pediatrics 169.3 (2015): 264-71. The JAMA Network. Web. 21 Aug. 2015.